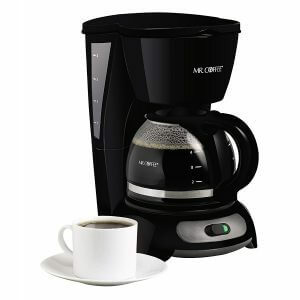 Enjoy freshly brewed coffee in the comfort of your home with a coffee maker. 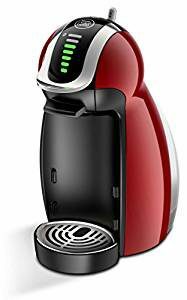 There are different high-quality models sold from different brands, including coffeemakers coming from DeLonghi, Panasonic, Elephant Mark, Melita, and Muji. There are also different types to choose from like the general drip type, the café pod, and the fully-automatic type with a mill. With so many different variations, it’s difficult to choose one that fits your needs. We’ll be introducing the different points to help you choose the right coffee maker and also recommending our top picks. Before we head to our top picks for the best coffee makers on the market, we’re going to explain the factors on how you should choose such a device. Some of these points might seem obvious, but they’re often neglected. There are many other types of coffee-making machines. Let’s take a look at each one. 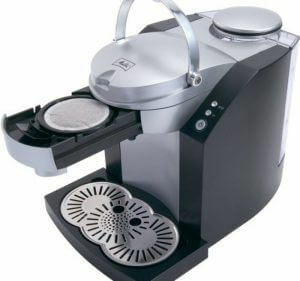 The drip type coffeemaker is the most common type available. They’re the easiest to use, and they can produce one pot of coffee at a time, instead of just one cup. They also keep the coffee hot for a long time by using a glass or stainless steel pot. There are even some coffee-making devices that come with a timer. Just make sure the machine has a good filter to make sure you don’t get any debris in your coffee. The fully automatic coffeemaker comes with a mill, which grinds the coffee beans for you. All users have to do is to add the beans and press a button. Most fully-automatic coffee-making machines come with high-end price tags. 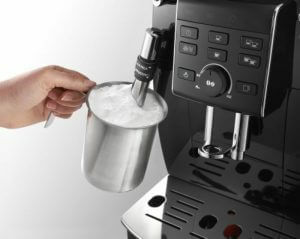 They also have additional features, such as a milk frother, so you can enjoy a great cup of cappuccino. There are some individuals who concern themselves with the one-button grinding feature. However, the feature is great for users to enjoy coffees without putting too much effort into making the beverage. The pod-based coffee is probably the most popular nowadays. All you have to do to make a cup of coffee is take a coffee pod, place it into the right slot, and press a button. There are lots of flavors available, so it’s recommended for those that would prefer a machine that can do more than make traditional coffee. The downside is that these machines only accept compatible pods, so you can’t just buy from a different brand. The coffee grounds stay in the pod, so it doesn’t leave a mess. This machine is perfect for offices or people who live alone. 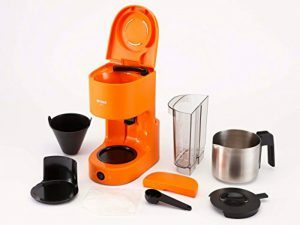 The capsule coffee maker is similar to the pod-based coffee maker. Coffee pods are like small, sealed plastic cups, while capsules are like small, round teabags. In the same way, all you have to do is just pop the capsule in the machine, press a button, and enjoy your coffee. And capsules, like pods, are only compatible with a machine of the same brand. Each coffeemaker will have its unique set of specifications. 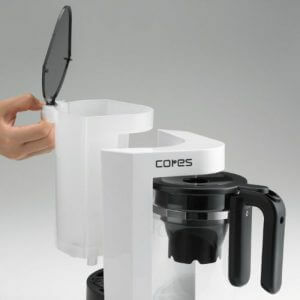 The construction of the model, the type of carafe used, and the heat retention can be different from each model. Choose the right coffee-making device that fits your lifestyle. The capacity of a coffeemaker varies with each unit. There are some models that make one cup at a time, and others that make a lot in one pot. The size of the main body will usually indicate the number of cups it can brew at any given time. However, if the device is large, make sure you have the space for it. When choosing a coffeemaker based on its capacity, you might want to consider how many people are going to drink it. There are two types of heat retention you can find: models that use a heat-resistant carafe sitting on top of an electrothermal plate and another that uses a steel pot. If you want to drink hot coffee from the same batch, then the stainless steel pot should be a sufficient option. Furthermore, stainless steel pots are more energy-efficient. However, there are also some coffeemakers that don’t provide any heat insulation. These models are inexpensive making them a good option for people on a budget. The taste of the coffee brew changes depending on the shape and filter found in the drip type coffee-making device. Filters with one hole produce coffee that’s rich in flavor and aroma, while those will three holes produce coffee that’s less flavorful and aromatic. The latter may not produce strong coffee, but it does make your coffee faster. Some use stainless steel filters, while others use paper filters, which you need to throw away after each use. It’s not exactly the most environmental-friendly choice. There are two types of water tanks: detachable and fixed. Fixed ones can’t be separated from the machine making them harder to clean. This is why we recommend detachable water tanks. Sanitation will always be an important factor when using coffeemakers. Therefore, each part of the device should be easy enough to clean. Disassembling and reassembling shouldn’t take a lot of effort. There are even some coffeemakers that offer automatic cleaning features for some of its parts. 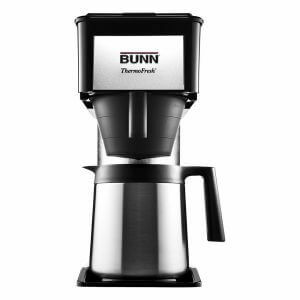 In this portion, we’ll introduce to you our top picks for the best coffee makers we’ve found on the market. 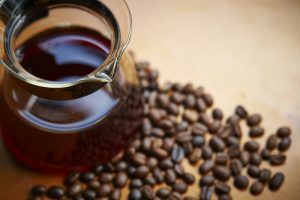 You can refer to this guide to find the right coffeemaker so you can enjoy your favorite brews in your home or office. 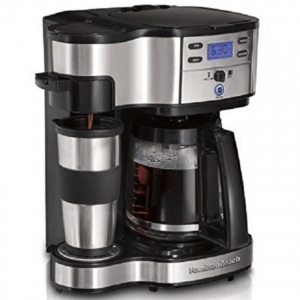 The BV1900TS is an excellent coffee beverage maker. 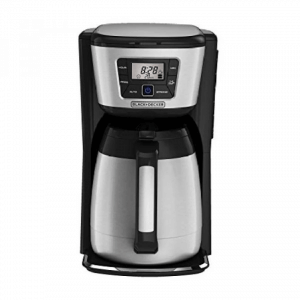 This mid-range marvel can keep your coffee beverages hot for extended periods of time with its steel carafe. It’s just not the fanciest looking device on the market. Aside from the optimum temperature levels for each cup of coffee, the BV1900TS can also create brews with excellent uniformity. In other words, you’re always going to get smooth coffee every time. The Coffee Bar by Ninja eliminates the need to get rid of plastic capsules. 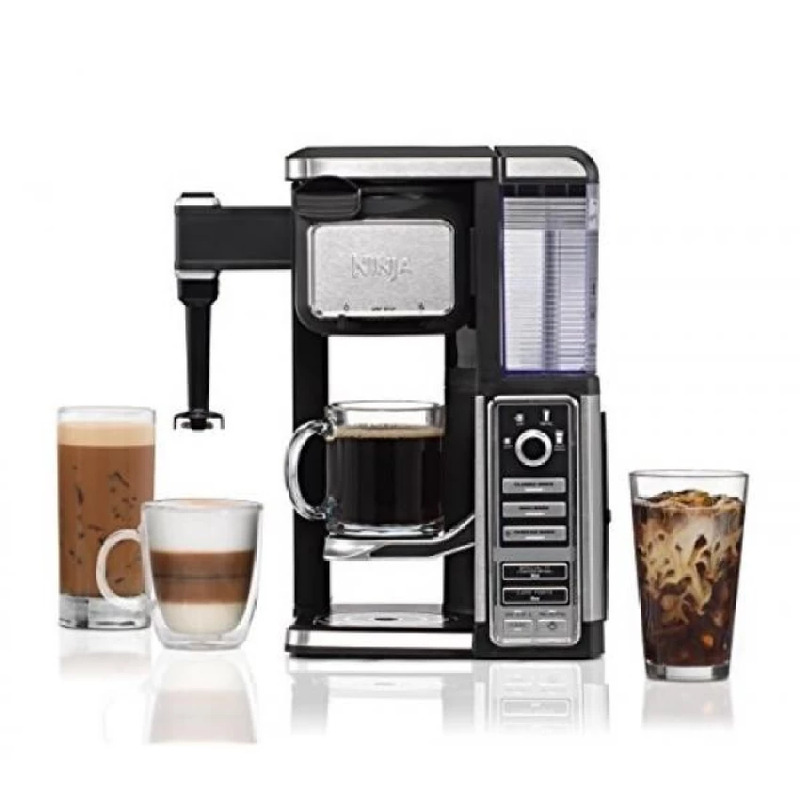 It has functions that can cater to your coffee needs. It’s also inexpensive, but it’s quite huge, making it difficult to store. You can use different sized mugs or cups for this machine as it provides enough space or larger mugs. This device also has a “smart IQ.” In other words, one push of a button, and it’ll know what you want for your brew. 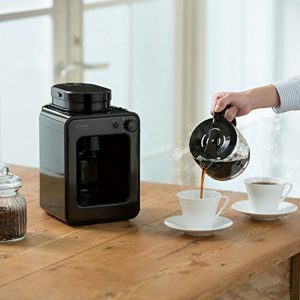 This coffee machine can produce a whole lot of coffee–up to 12 cups of it in a single brew. It’s recommended for big household or offices with several coffee drinkers. However, since it can create a reasonably large amount of coffee per operation, it can take a while for the brewing to complete. 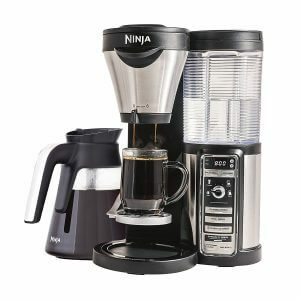 The CF080Z model by Ninja is a coffee brewer that brings peace of mind to its users. We can’t deny the fact that we might forget to turn off our electronic devices when we’re in a rush. Thankfully, this coffee-making device comes with a 2-hour automatic shut-off feature. It also has a warming plate. Couple that with a large carafe, and you and your friends can enjoy brewed coffee. 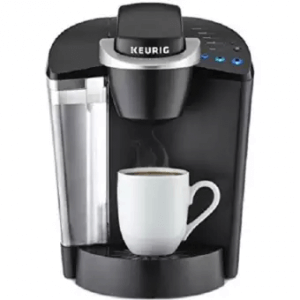 The K55 K-Classic Fully Programmable Pod Coffee Maker by Keurig lets you enjoy brewed coffee with a touch of a button. It’s also compatible with certain non-Keurig coffee pods. This machine produces a nice, rich cup of coffee. It’s quite expensive for its features, and that might put off some interested buyers. Also, it doesn’t carry an innate temperature control function. As a result, those who want cold coffee might want to look somewhere else. Although this coffee maker looks more like a work of art than a machine, it’s actually very simple to operate. It’s carafe’s funnel lip also allows you to pour coffee in any direction. This machine also has an automatic shut-off feature, which turns it off after 2 hours. 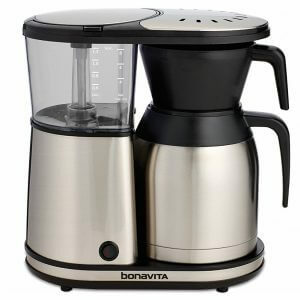 It has a copper boiling unit to ensure the water is the right temperature to brew flavorful and aromatic coffee. It brews coffee in as fast as 6 minutes. You will need paper filters for this machine. With a name like Velocity Brew, you’re sure that you can enjoy delicious cups of coffee in a snap. This device by Bunn can whip up hot coffee in an astounding 3-minutes and 33-seconds. Let’s face it, if you’re always on the run and don’t want to miss drinking your morning coffee, then this device is ideal for you. Do you want to share your favorite blends with your family or officemates? Not to worry, because this device can brew as much as 10 cups per operating session. It even comes with a unique spray head to help bring out the complete flavor of your coffee brews every time. The Switch Coffeemaker by Mr. Coffee is an affordable, all-around coffee-making machine. 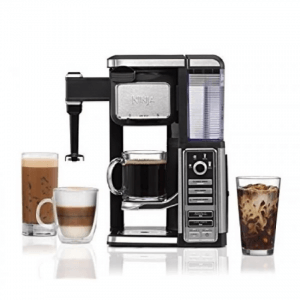 This device is the dream for coffee lovers with a tight budget. Keep in mind that it doesn’t carry a lot of features. This coffee-making unit can give you accurate water filling with its dual water window. 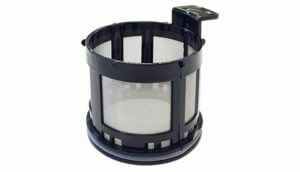 It even comes with a removable filter basket for quick and easy cleaning sessions. 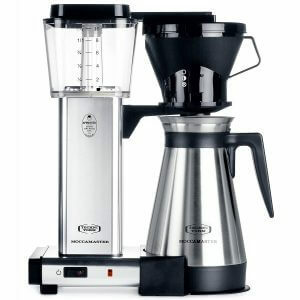 The top coffee maker on our list is the 49980A Brewer by Hamilton Beach. This coffeemaker allows users to set a brew time up to 24-hours in advance. Hence, you’ll always wake up to the sweet-smelling sound of delicious and freshly-brewed blends every day. It can brew coffee straight into a stainless steel mug, which you can take anywhere. It also comes with a 12-cup carafe in case you need to prepare more coffee. It has an easy-to-use pod holder–all you have to do is just snap it in place, and it’s good to go. What do you think of our guide to help you choose the right coffee maker? 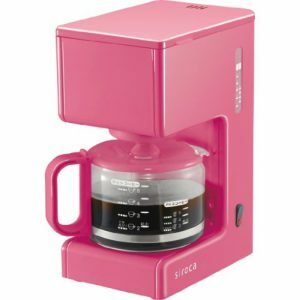 We introduced different types of coffeemakers in our post, and all of them are ideal choices. You can always refer to this post whenever you want to buy a coffee-making device for your home or office.